With summer well and truly on its way and the temperatures definitely rising both the kids have been desperate to get out in the garden at any given opportunity. So this year I set about finding some new garden toys and games for them to play with that would keep them both entertained this summer. We don't have a massive garden and so as much as we would love a giant trampoline we just don't have the space. So I had to get inventive when it comes to ideas, we needed things that were lots of fun but didn't take up too much space or could be packed away when needed. 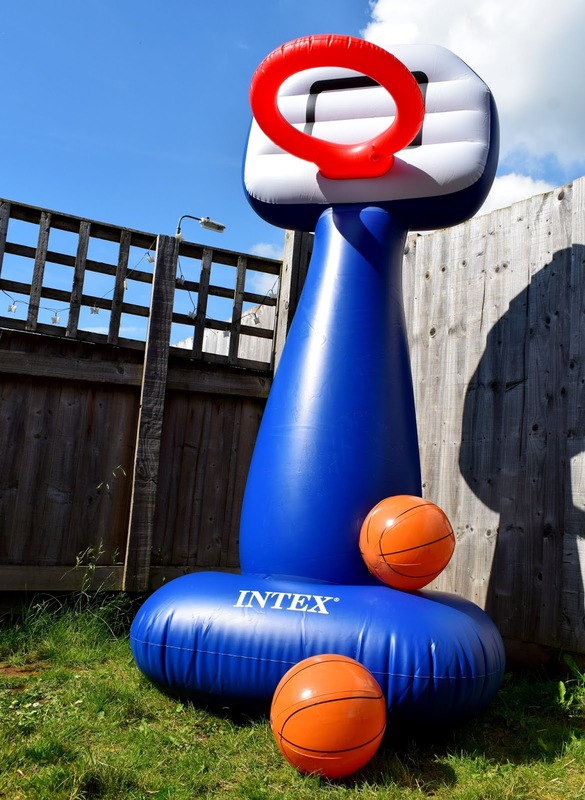 The Intex shooting hoops basketball set seemed to tick all those boxes so we were thrilled when we received one to try out! Setting it up couldn't have been simpler, you just remove from the box (be sure to keep the puncture patches that come with the set safe and then locate the two holes for blowing it up. It blows up in two sections the bottom square and "pole" and then the top square and hoop. We used an electric pump and them just blew up the small red ring ourselves. There is a section on the bottom square which is left for you to fill with water. It is advised you do this before pumping it up and this helps the basketball set stay strong and sturdy when being used. James was particularly excited when he realised how big this thing was! 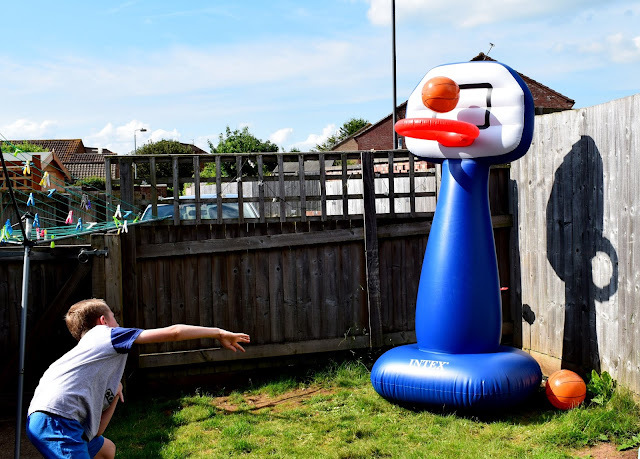 We started inflating it and quickly realised this was no ordinary basketball hoop much to James' delight. It stands just over 6ft tall (approx. 182cm) and is suitable for both indoor and outdoor use. 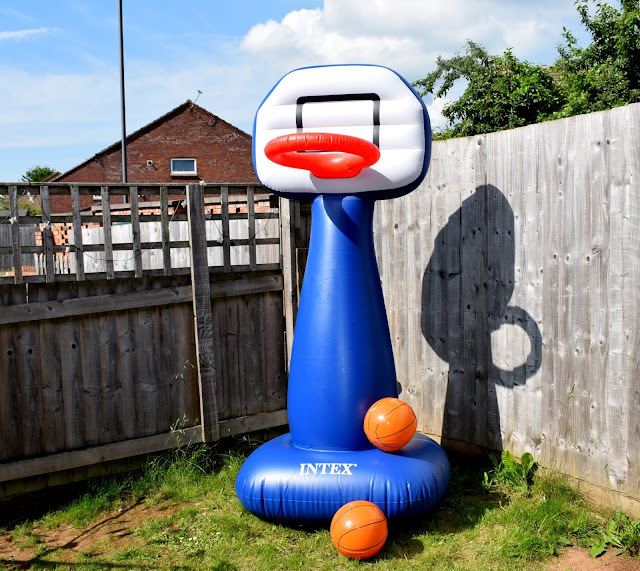 The set comes with two inflatable basketballs which are great for use with this however if they were lost the set is quite robust and I think you could easily use a foam or other light weight ball with it. James is a very tall 8 year old and this was the perfect height and size for him. Evelyn is only 4 but still had great fun trying to throw the ball into the hoop, I would definitely say around 6-10 would be the perfect age for this set though. It feels really robust and sturdy, James has ran at it, knocked it and thrown some pretty heavy handed shots and it has stood strong and sturdy. What really makes this ideal for our garden though is that since its inflatable it folds down and stores away really small and really easily. It deflates pretty easily once you release the valves and can be stored away until the next use. This is perfect for our small garden and means it won't be taking up garden space when they are not using it. We have been really impressed with the Intex shooting hoops inflatable basketball set and I know it going to be a toy they have out again and again this summer (and im sure their friends will love it too!). 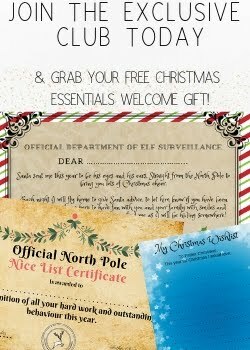 Since it folds down easily too it can be transported along to friends houses or even on holiday! It feels robust and strong too, perfect when it comes to kids toys and we really can't fault it. 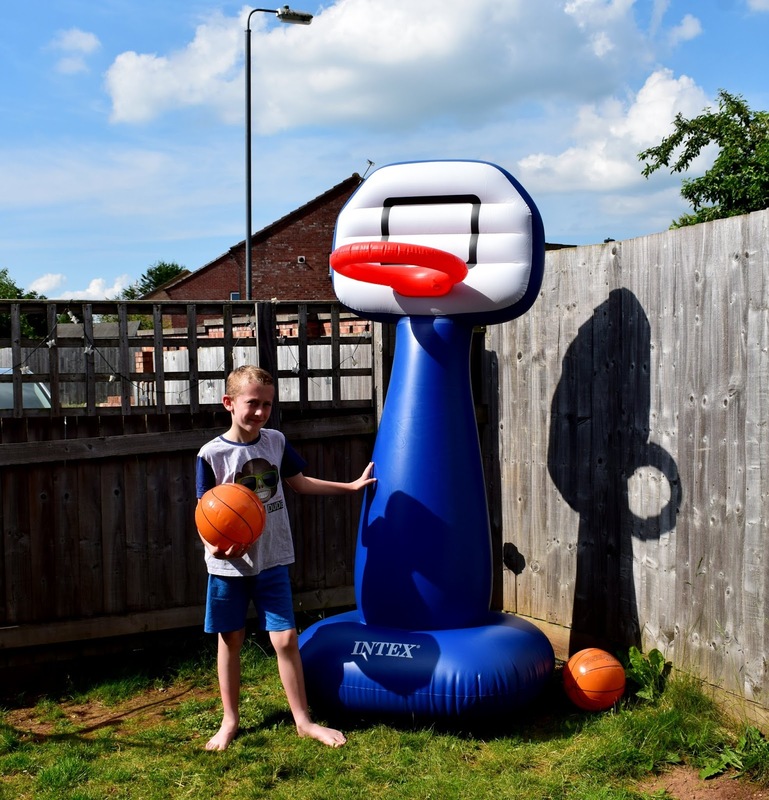 The shooting hoops inflatable basketball set is available to purchase from www.craftyarts.co.uk and is priced at just £26.95. Its a great price especially for something that feels so well made and has already provided so many hours of fun for both James and Evelyn. Is this something your children (or you) would like for your garden?